Copy paper is a commodity so ubiquitous and essential that all of us at some point or another have opted for whatever was the cheapest. 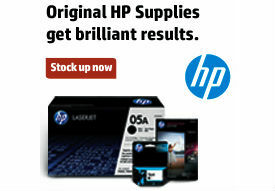 On Time Supplies has a great option you should try with Universal’s high brightness copy paper. However, the value of this paper goes well beyond a reduced price and it’s 98 brightness rating. Read on to find out why buying copy paper holds more interesting and involved questions than you’ve probably ever considered. I want good copy paper and I want it now. A great many factors go into the quality of office paper. You may not think of this while it’s sitting in your printer tray, but that lowly sheet was produced on a scale rivaling the largest textile operations, while at the same time bearing a scientific complexity similar to that found in cheese making. In other words, making paper isn’t easy. During manufacture a single tree can become a ream of paper, a diaper, a newspaper, or a roll of cellophane. So when it comes to making paper every brand and company has vastly different methods that create a great deal of variety between them, a variety that price alone does a poor job of conveying. This is why it’s important to go with well reviewed brands like Universal. While two brands make have the same rating, ones like Universal have been tested out in the wild and found to be of great quality throughout a multitude of tasks. You mentioned copy paper brightness. What’s that? The Technical Association of the Pulp and Paper Industry rates a paper’s brightness on a 0 to 100 point scale. This number represents the amount of light the paper has been found to reflect. This translates to increasing levels of apparent brightness as you move up the rating scale. The scale uses a blue light to measure for reflectivity. Basically, the standard stands as a fair representation of how bright the paper will be perceived when it encounters undiffused sunlight. Universal’s high brightness copy paper has a great price, but better value. While you may like the price, cheap paper can ultimately end up costing you more money if your copies are unsatisfying, or worse, have a shoddy print reflect negatively on you and your business. We’re big fans of the Universal paper brand here at On Time Supplies. Universal’s office paper comes highly recommended from our customers and is rated at a 92 in brightness. Customers have found it superior in both crispness and clarity. Universal’s copy paper is specially designed for ink, laser, and large volume printers. They also make their paper green friendly, sourcing it from a certified managed rainforest and manufatured right here in the USA. What’s not to love? What’s more exciting is that On Time Supplies is offering Universal’s higher tiered high brightness copy paper at an everyday low price. It scores a 98 in brightness, taking a great copy paper and making it even better. Universal’s next level copy paper boasts even crisper, higher fidelity blacks and colors with this offering. Whether you already buy Universal copy paper or are simply curious about what benefits a trusted brand and a higher brightness rating can offer, don’t hesitate. Grab a carton of Universal’s HB copy paper. You won’t regret it. Sources:https://www.xerox.com/downloads/usa/en/t/ThreeKeyPaperPropertiesWhitePaper.pdf, Paper, board, pulps and related terms – Vocabulary – Part 3: Paper-making terminology (2002), Biermann, Christopher J. (1993). Handbook of Pulping and Papermaking. San Diego: Academic Press.